In Zuni culture, deer represent gentleness, compassion and kindness. Zuni deer fetish carvings are less commonly carved. When carved, they are usually depicted with a high attention to detail. 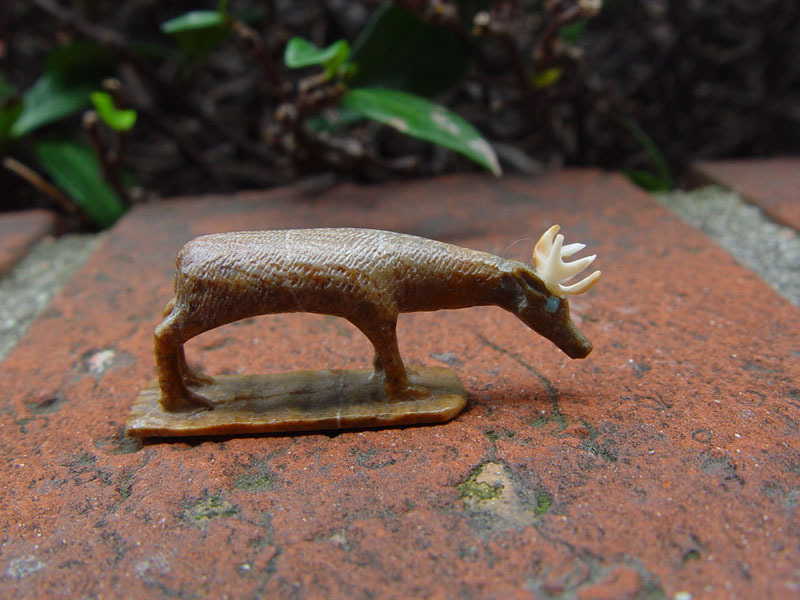 Often, carvers will carve them in deer antler. 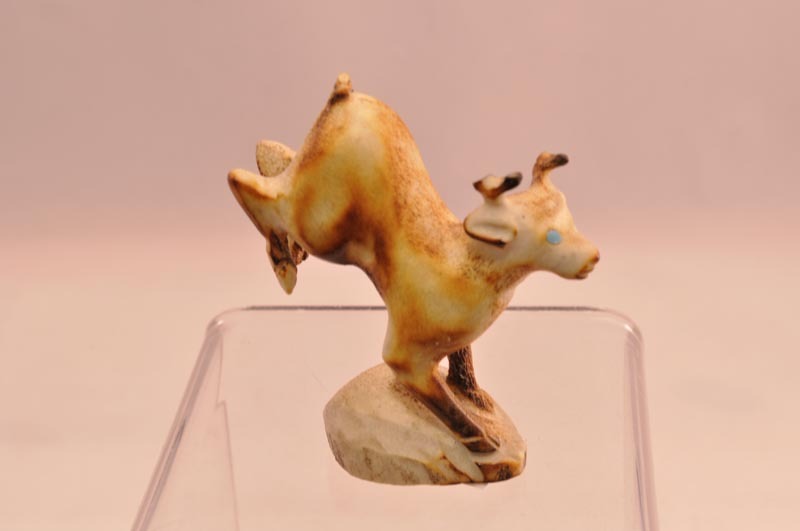 We carry a great selection of Zuni deer fetish carvings. Available fetishes can be viewed and ordered via our Online Catalog here. Prices subject to change due to typographical errors and product is subject to availability. Items without prices are typically available, but price and detailed information is on request. Please email us for details. Although the catalog is 98% current, some items may have been sold and not yet removed from site. ​Photos and information may be re-used with written permission only from Matt Wood's Antique American Indian Art, LLC. 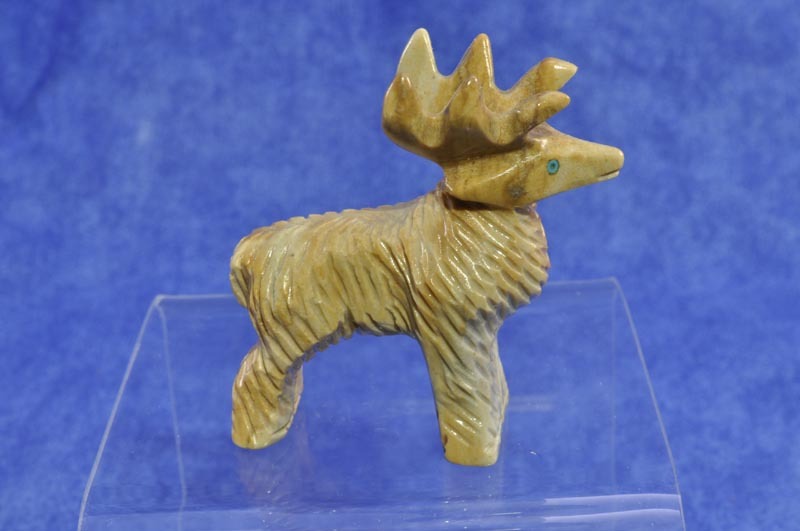 Websites are free to link to this page or any pages on our site but may not copy and publish any photos or information on their sites without written authorization from Matt Wood's Antique American Indian Art, LLC.